When they first make that ever so important first trip to the gym, most teenage boys make a beeline straight for the dumbbell rack, hoping that 20 sets of curls will make their sleeves just that little bit tighter. Oddly enough, it was power rack that drew me in, I can only assume as a result of me spending my formative years being fascinated by circus strongmen. This doesn’t mean that I was any wiser in my approach than my aesthetically minded compatriots. In my naivety, I assumed that to get strong I needed to lift heavy all the time, so my training program involved going as heavy as possible on deadlift and circus dumbbell at least once a day, often twice, sometimes three. Despite the stupidity of my plan I got stronger, lost weight, and remained injury free throughout the 18 months I followed it. I was tempted to put this down to beginner gains, the idea that when you first start out almost anything will provide you with results. So I tried it again first on myself and then on a few clients; not only did it work for all of us, but it worked well — bringing me out of a 12 month deadlift slump and taking me to a 19kg (I wish it was 20kg) all time PB at a lighter bodyweight. This, I appreciate, flies in the face of the conventional wisdom: too many deadlifts are a shortcut to overtraining and injury. The problem with that conventional wisdom is that it has trickled down from the very upper echelons of powerlifting and strongman. Where due to the incredible numbers being lifted, these athletes are forced into reducing both training volume and frequency. 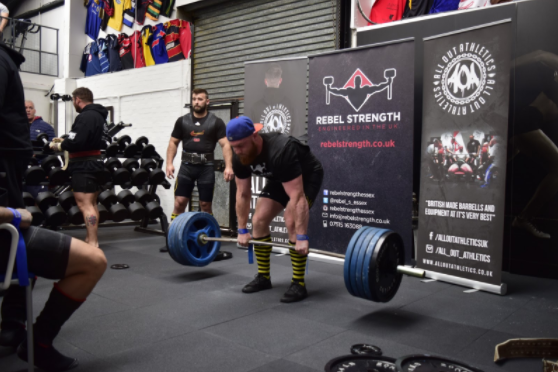 Put simply, a 400kg deadlifter pulling 90% of their max is worlds apart from a 200kg deadlifter doing the same. Regardless of how strong someone maybe, their nervous system and connective tissue can only take so much. Follow a training program designed for where you are now, not where you want to be in five years time. With that said, if you are comfortable with the technique of deadlift and are pulling less than 250kg as a man and 160kg as a woman, the program below might be just the boost you need. First some notes. The savagery of a typical deadlift session, where chalk and ammonia fill the air, needs to be put on the back burner for the next few weeks. When you’re only pulling once a week, you can afford to turn up the speakers and release your inner berserker. The only downside is that it makes it very difficult to listen to your body and the next day things can get tricky quick. 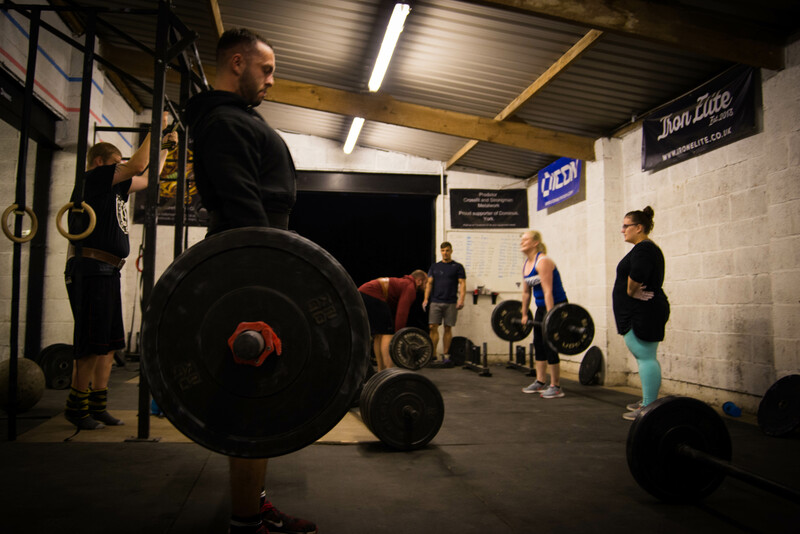 To avoid the obvious lure of piling plates on as soon as a session feels good, there are a few limiting factors we will use to keep the weight down. The first is grip: forgo the chalk, straps, and even the mixed grip. Not only will this build the strength of your hands, but will also physically restrict how heavy you can go. In the same vein, some sessions will be done beltless, but not all — if you will compete in a belt then it’s good to get used to it. If you have the option of using a stiff bar and thin plates, then make the most of it. Especially if you have been using a flexy bar and bumper plates, you won’t believe the difference one change can make. At some point you will be tired and the temptation will be there to let your form slip, just a little bit. Muscling out rep just to get through the session quicker is a complete waste and could jeopardize the entire process. Instead, rest a little bit longer, compose yourself, and have at it. We want to be reinforcing good habits, not ingraining sloppy ones. Everyone’s set up and positioning is different, so I won’t start making generalizations here. If you have any doubts about your form get someone to watch your set. At the very least film your first, third, and last set of each session. Every rep of each set should look exactly the same. If it doesn’t then you need to drop the weight and start again. Boredom becomes a real factor with such a repetitive program, just as advocates of daily squatting recommend varying the lift as much as possible. Utilizing front squats, back squats, box squats, high bar, low bar etc. to avoid both stagnation and boredom. We will follow a similar approach with one big caveat, stick to either conventional or sumo. The lifts done in that stance will vary from deficits, pause reps, banded pulls etc. But don’t switch between the two stances. Some people are certainly adept enough at both enough to hammer them simultaneously, but don’t try to find out if you are one of them just yet. Russian kettlebell fanatic Pavel waxes lyrical about the benefits of what he calls “greasing the groove” or more simply practicing a movement repeatedly without going anywhere near failure. In his books, he encourages this with bodyweight movements such as pull-ups but the approach works just as well for the deadlift, with submaximal weights of course. The only hindrance is that you are unlikely to have 24 hour access to a loaded bar. Instead spend the first 20 minutes of each session working the deadlift, over a week that equates to anywhere from 100 to 140 minutes of dedicated deadlift work and over the six week program that’s 14 hours. 5×10 rep double overhand (beltless) Start at 40% for set one and build to a heavy final set. The final set wants to be heavier each week. *Keep the accessory work light and simple. This is not the time to be trying new 1rm in any lifts. I’ll keep this last point incredible simple: Eat and recover as hard you train. With so much volume and frequency on a major compound lift, you are going to need to prioritize both nutrition and recovery. Eat good food, mobilize, and sleep.